Use code CLASSIC20 to save $20 off your purchase of $100 or more! We’re getting extremely close to the New Year which means lots of partying, resolutions we probably won’t keep, and–on New Year’s Day itself–the 11th annual NHL Winter Classic. Started back in 2008, this outdoor game has become an exciting staple of the National Hockey League, one that attracts fans from all over the world. Here’s everything you need to know about the upcoming game. Who Will Play at the 2019 Winter Classic? The Chicago Blackhawks will face off against the Boston Bruins in this season’s game. This will be the Blackhawks’ fourth Winter Classic, but the first without longtime head coach Joel Quenneville who was recently relived of his duties. The game marks Boston’s third Classic. While the Bruins are 1-1-0 in these outdoor games, the Blackhawks have yet to secure a victory, losing in 2009, 2015 and 2017. Where is the 2019 Winter Classic? Taking place at historic Notre Dame Stadium in South Bend, Indiana, the 2019 Winter Classic will be the first to take place in a state that doesn’t actually have an NHL team. However, because the town is less than an hour from Chicago, the Blackhawks will be considered the home team. Opened in 1930, the stadium was built with the fans in mind. Hall-of-Fame football coach Knute Rockne had a big role in the design, expressing the need for minimal space between the field and the stands. Because of this – even after more than 21,000 seats were added in the 90s – the stadium has always offered fantastic viewing angles from almost any spot. With a current capacity of 77,622, Notre Dame Stadium could potentially have the second highest attendance of any Winter Classic (2014’s game in Michigan Stadium holds the record at 105,491). Almost everything that could go wrong for the Chicago Blackhawks has this season. Despite winning three Stanley Cup Championships over the last decade, the team let go of coach Quenneville after a poor 6-6-3 start. Since promoting the AHL’s Rockford Icehogs coach Jeremy Colliton, Chicago has been even worse, winning just three of Colliton’s first 13 games. It’s safe to say that this isn’t the same Blackhawks squad that won all those Cups, and that doesn’t bode well for a team looking for its first Winter Classic win. On the other side, the Boston Bruins have looked decent – good enough for fourth in the Atlantic Division at the time of this writing. Unfortunately, injuries have plagued an otherwise solid start and key players could miss the Winter Classic. Captain Zdeno Chara has an MCL injury that could keep him out past the New Year and Patrice Bergeron is dealing with rib and shoulder injuries that will sideline him until Christmas, if not longer. Despite the injuries, the Boston Bruins are a better team than Chicago right now and should show that on New Year’s Day. Look for the Bruins to get a second Winter Classic win, while the Blackhawks will likely remain winless. 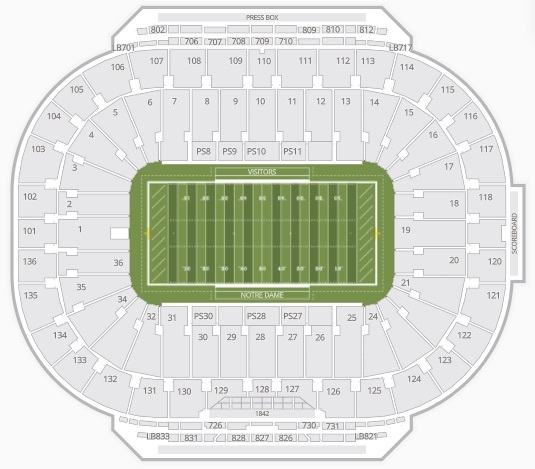 If you haven’t bought tickets to the game yet, there are still plenty of options available. While tickets have been on sale since August 28, you can still find plenty on our website. As of December 5, the lowest get-in price for the event started at $67. SeatGeek is also offering their users a discount on Winter Classic tickets. Enter code CLASSIC20 at checkout for $20 off your purchase of $100 or more. Browse tickets here or view select listings below. As always, check your SeatGeek app for tickets to your favorite NHL games and keep checking back to TBA for more hockey coverage throughout the season.